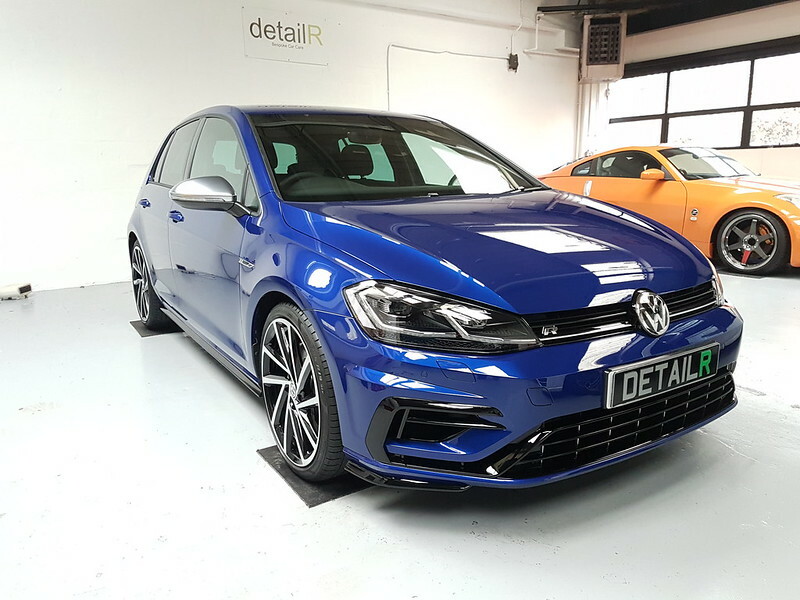 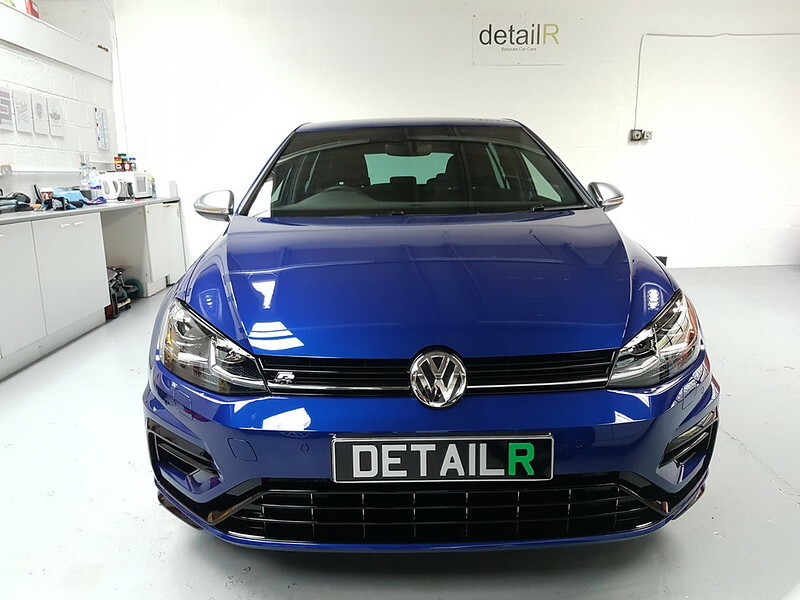 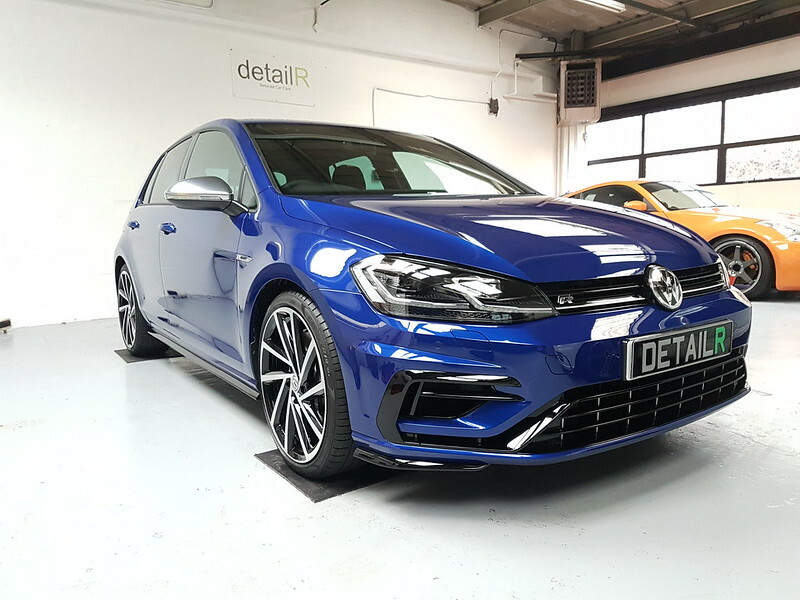 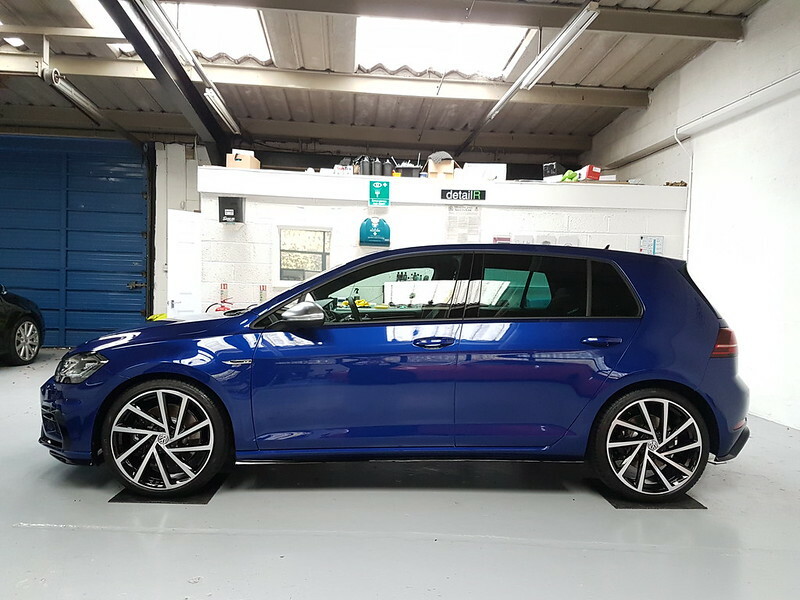 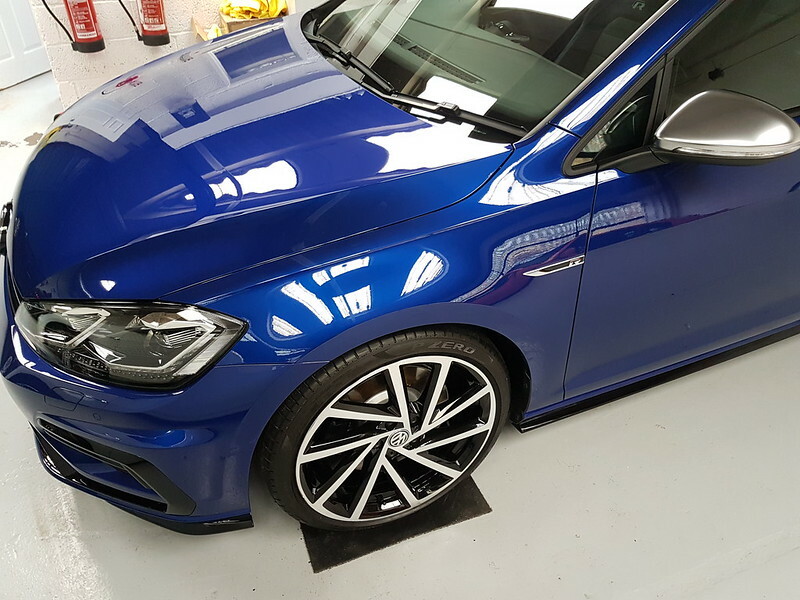 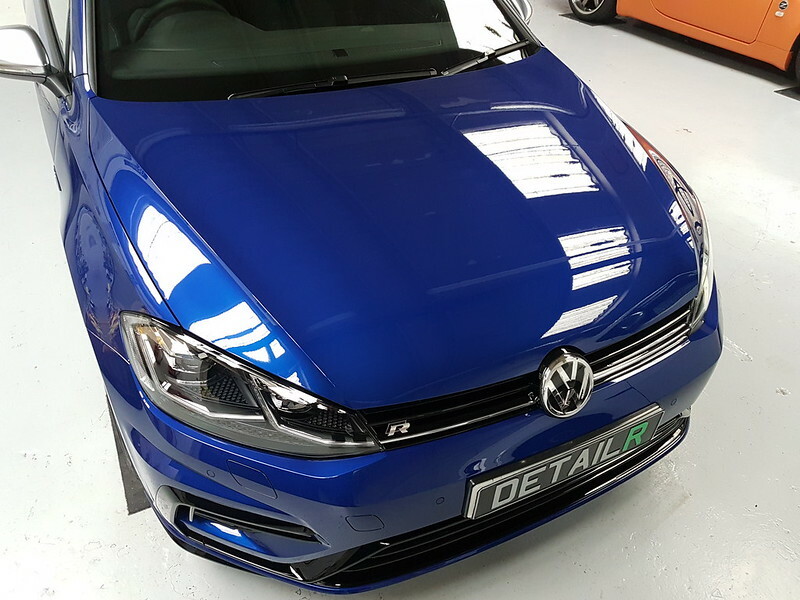 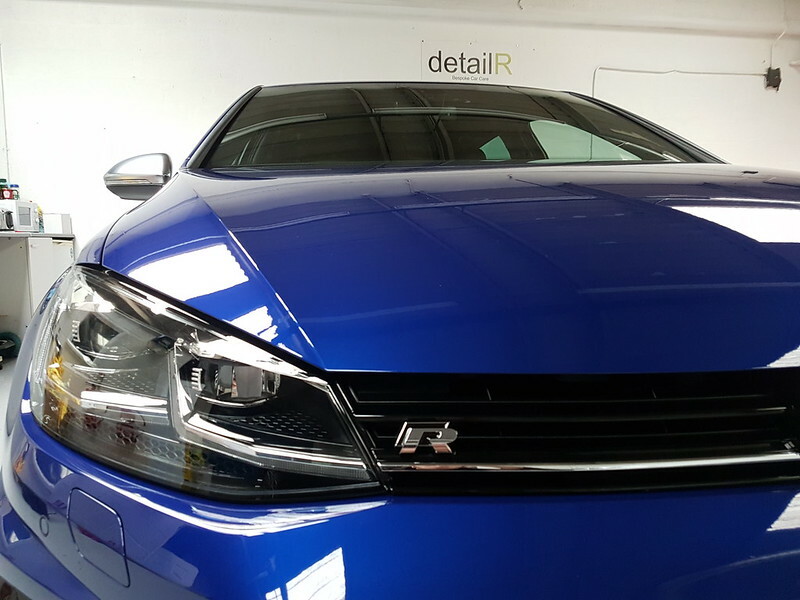 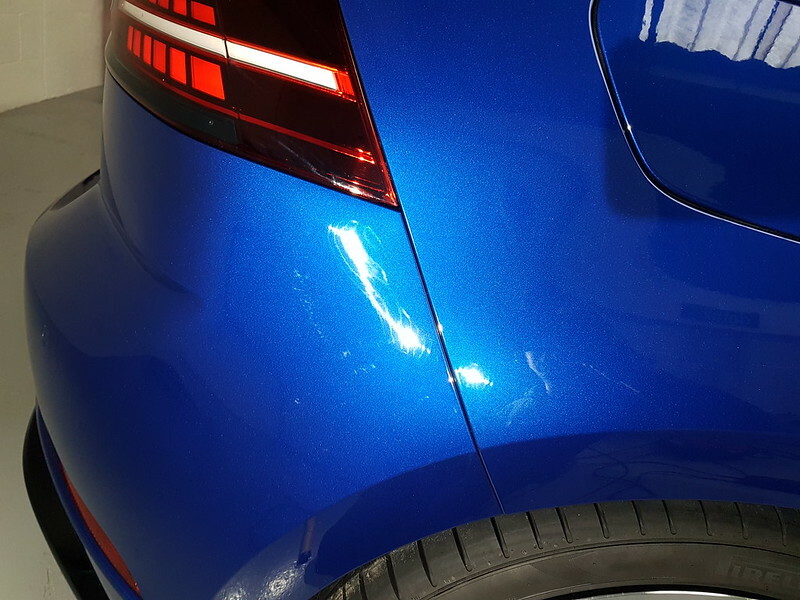 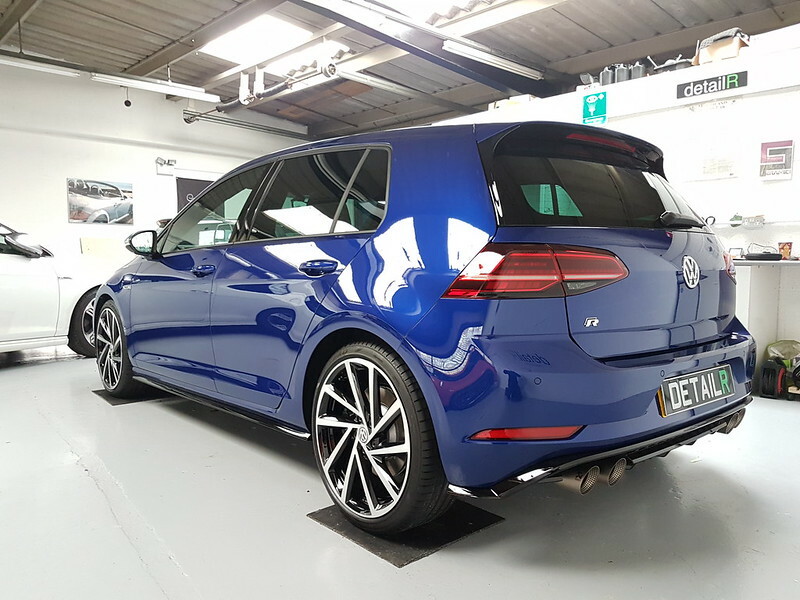 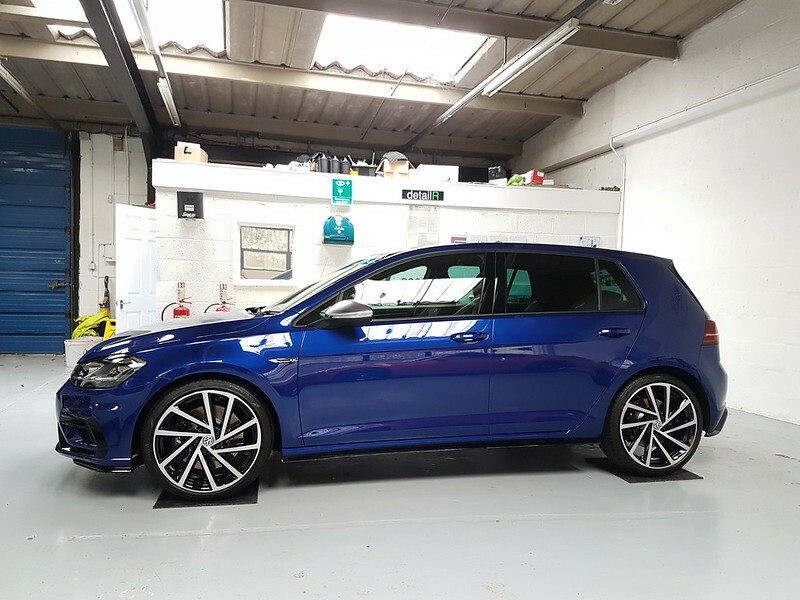 This Mk7.5 Golf R came in for a New Car Protection Detail recently. 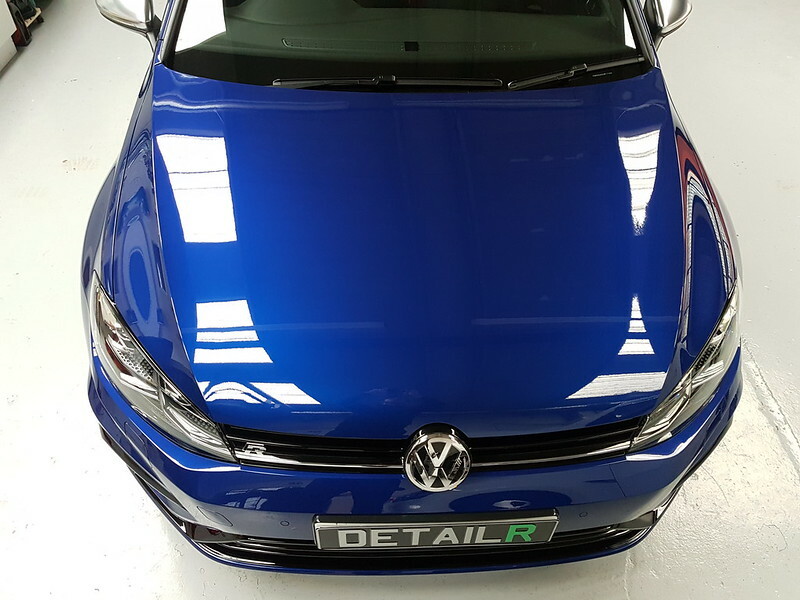 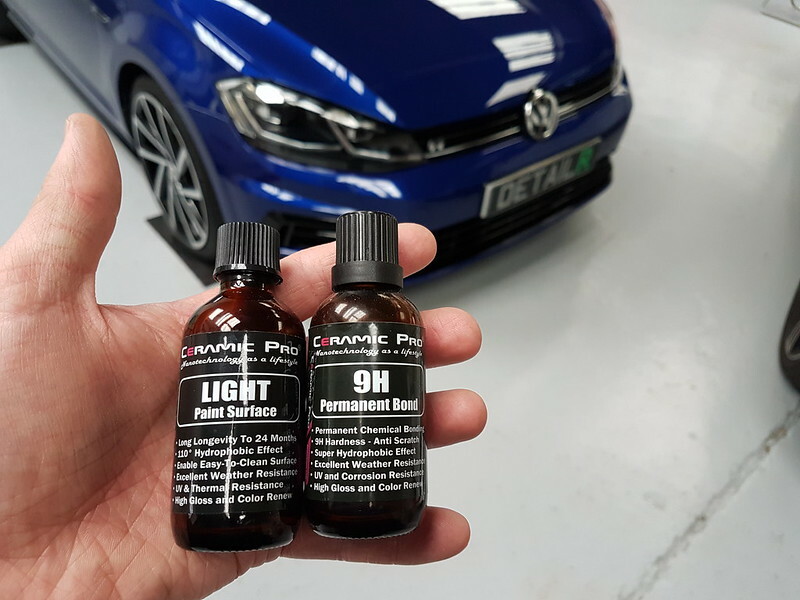 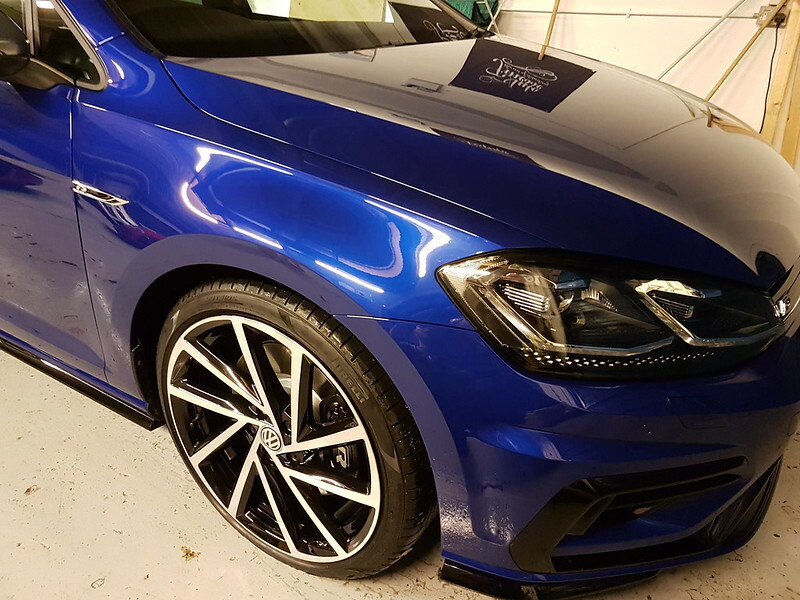 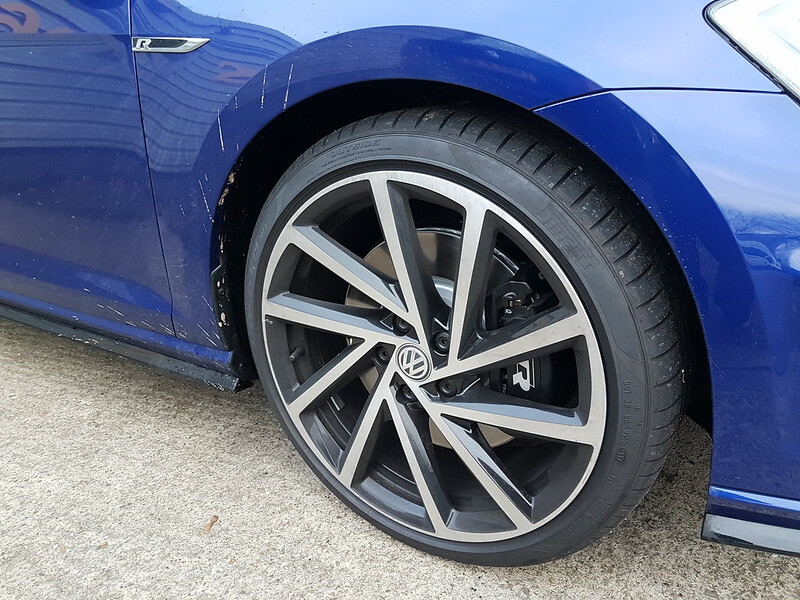 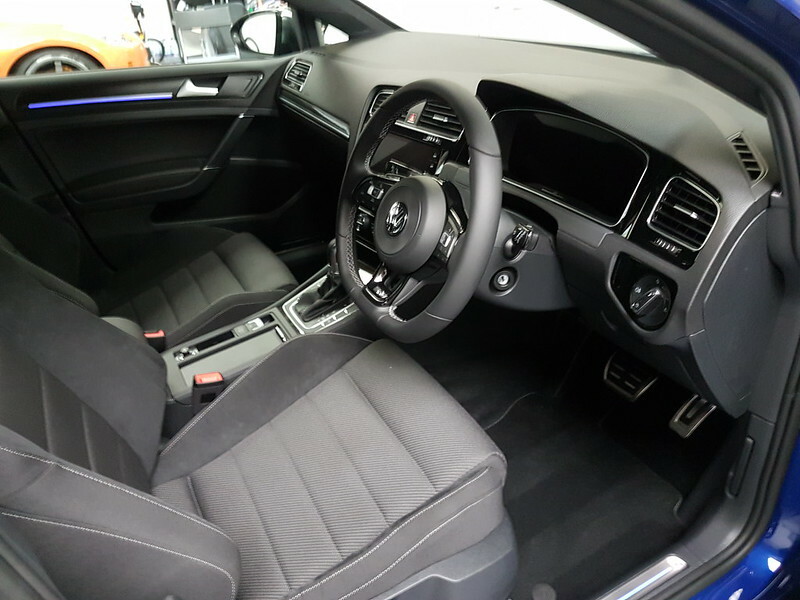 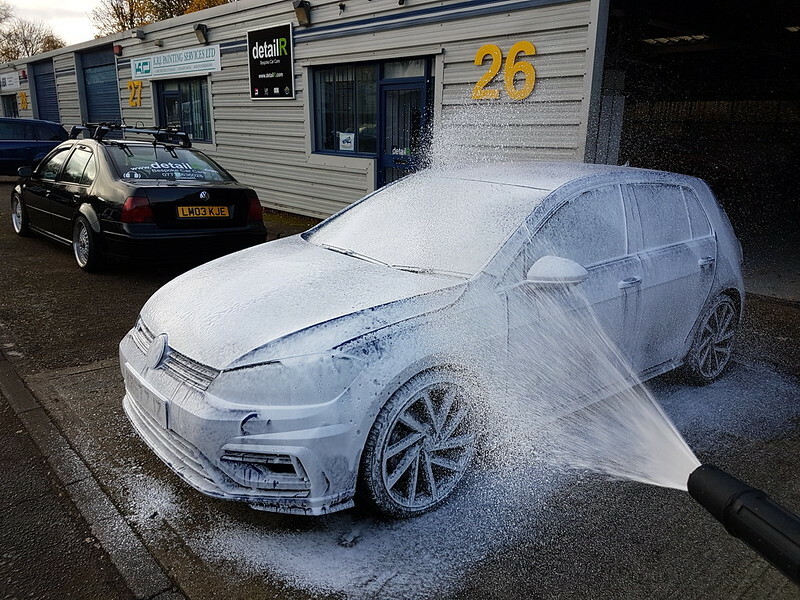 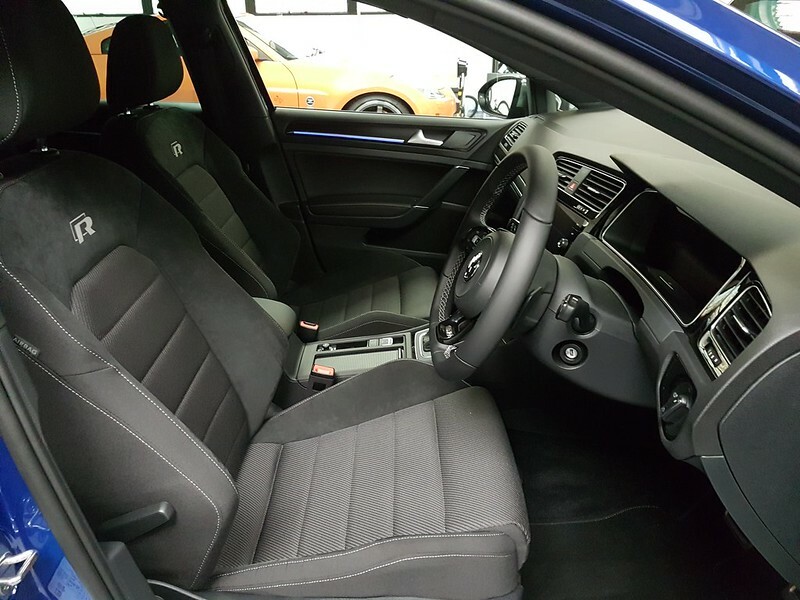 The owner wanted a better protection option over the dealership supplied offerings and chose Ceramic Pro 9H. 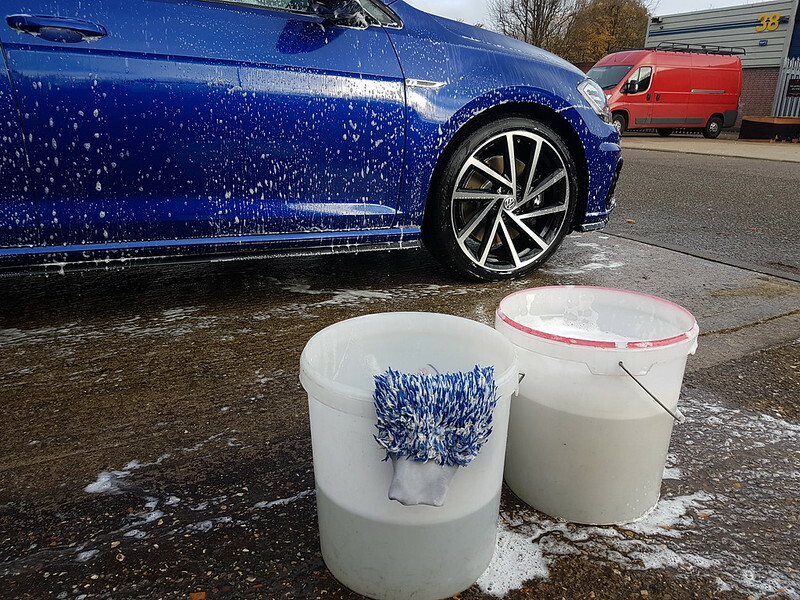 Auto Finesse safe wash process. 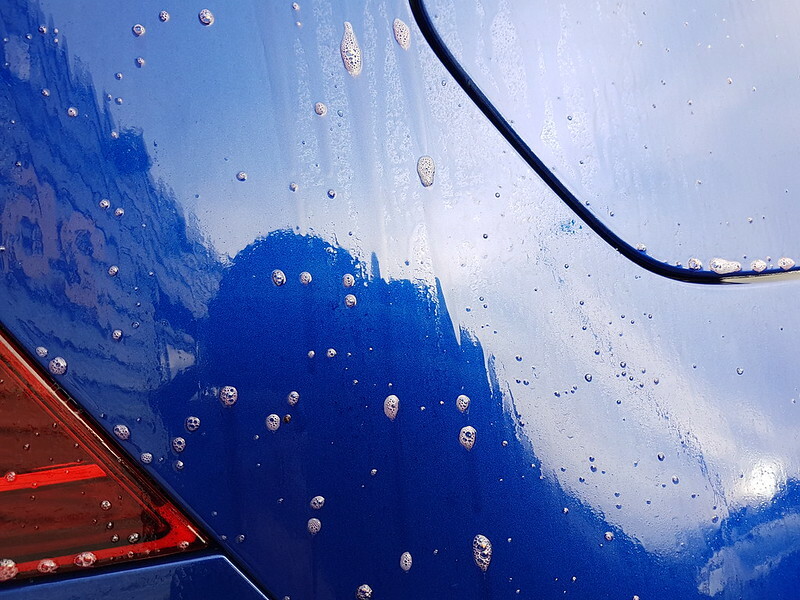 The car was then clayed inside before being dried with plush towels and warm air. 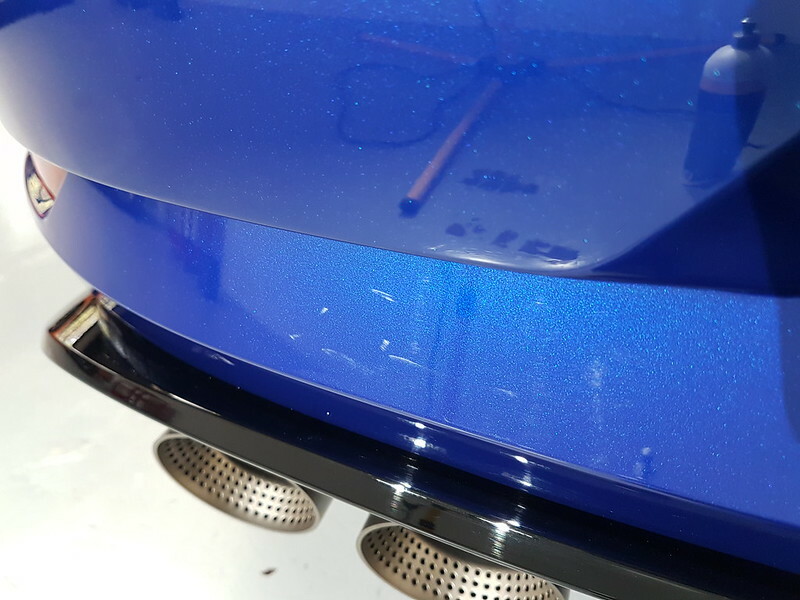 Onto a single stage machine polish to remove any marks picked up in transit and things. 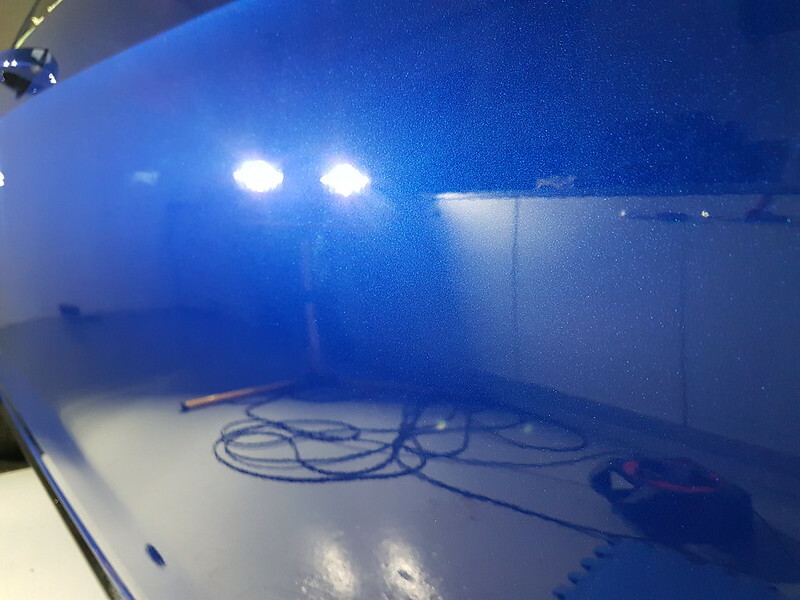 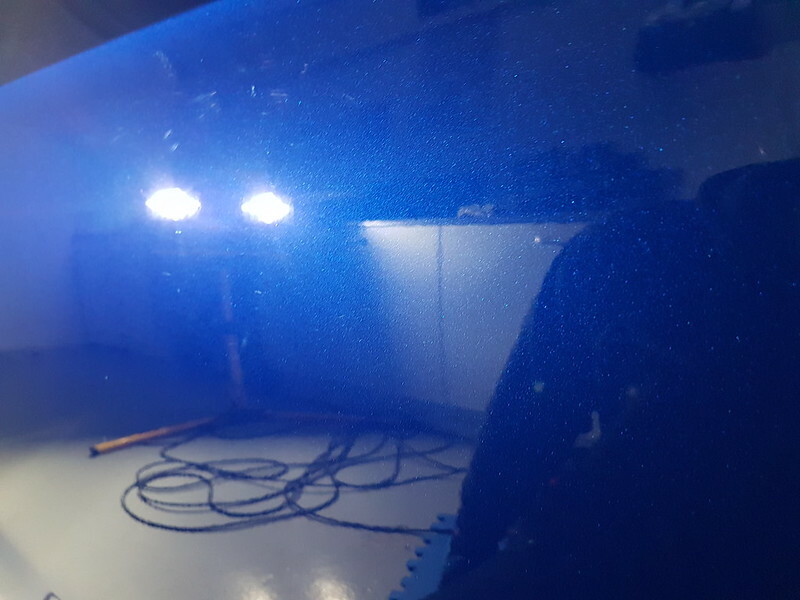 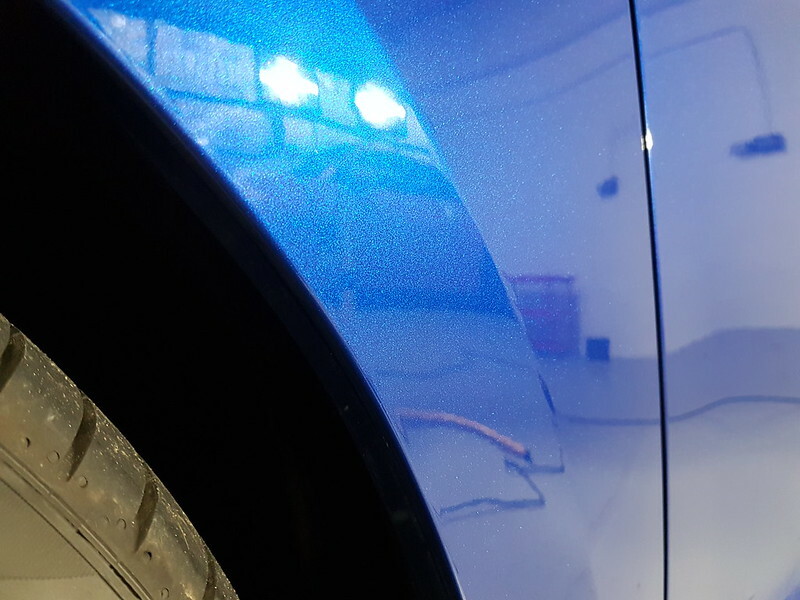 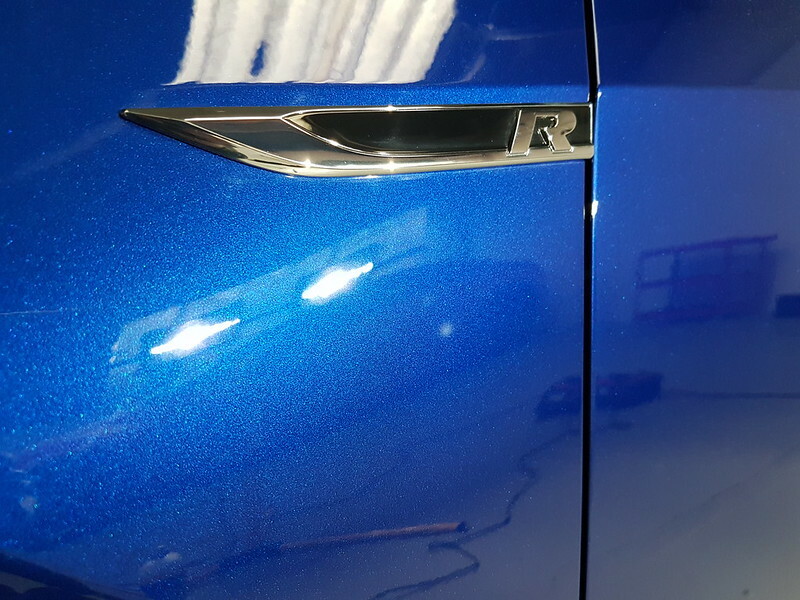 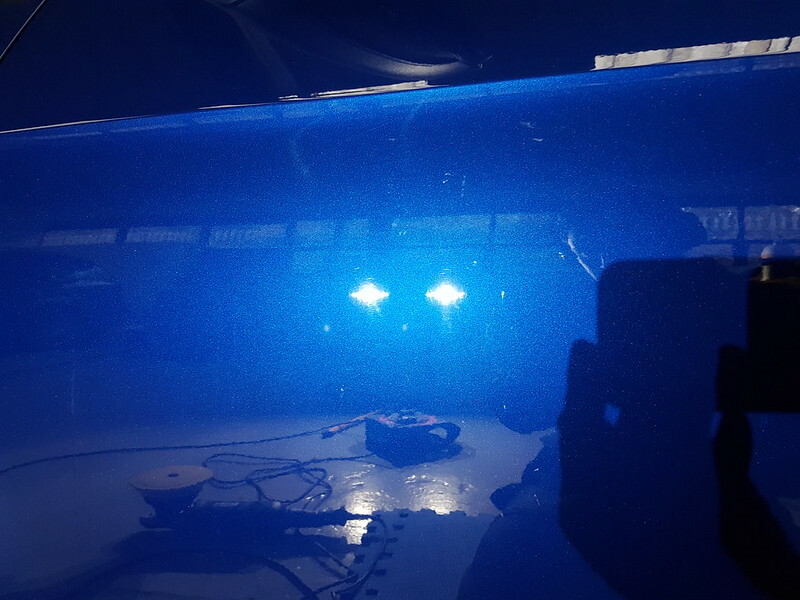 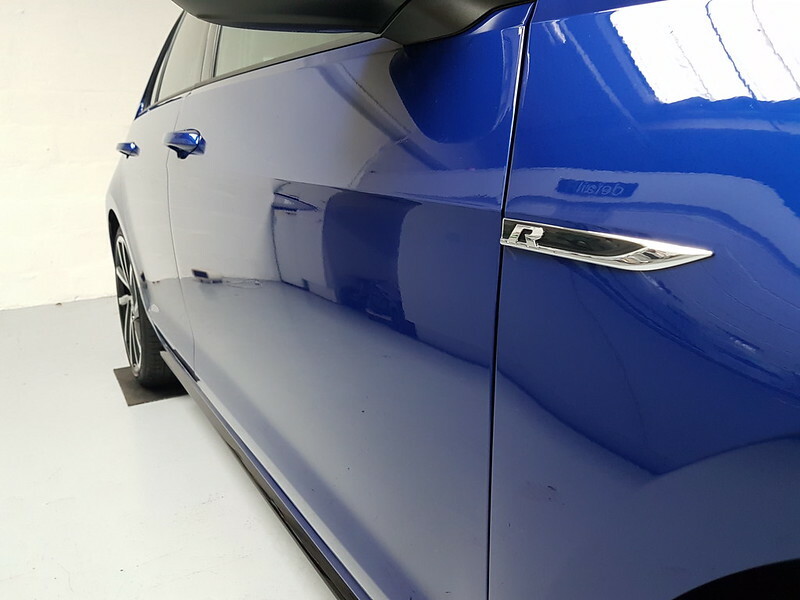 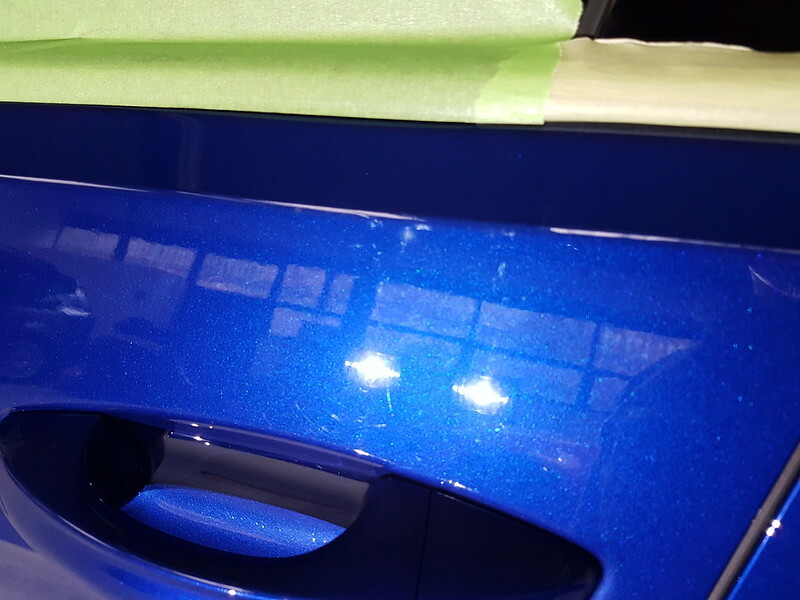 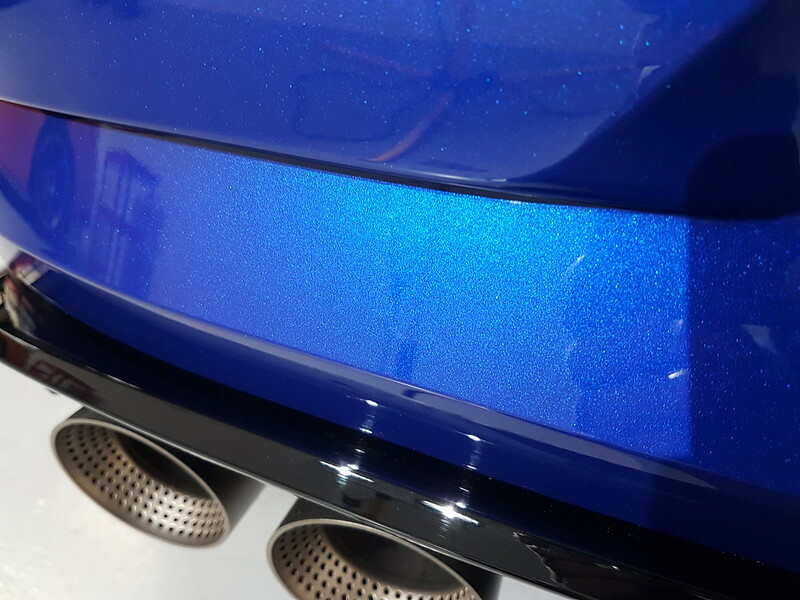 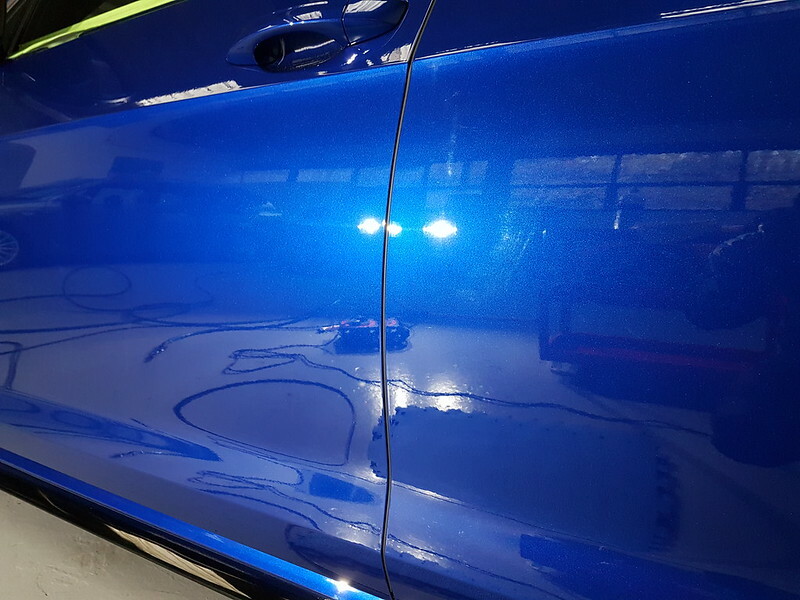 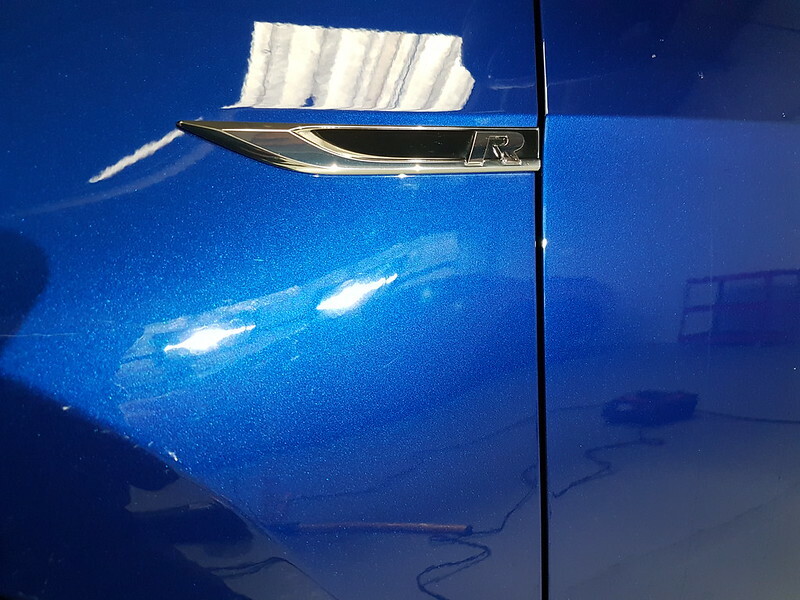 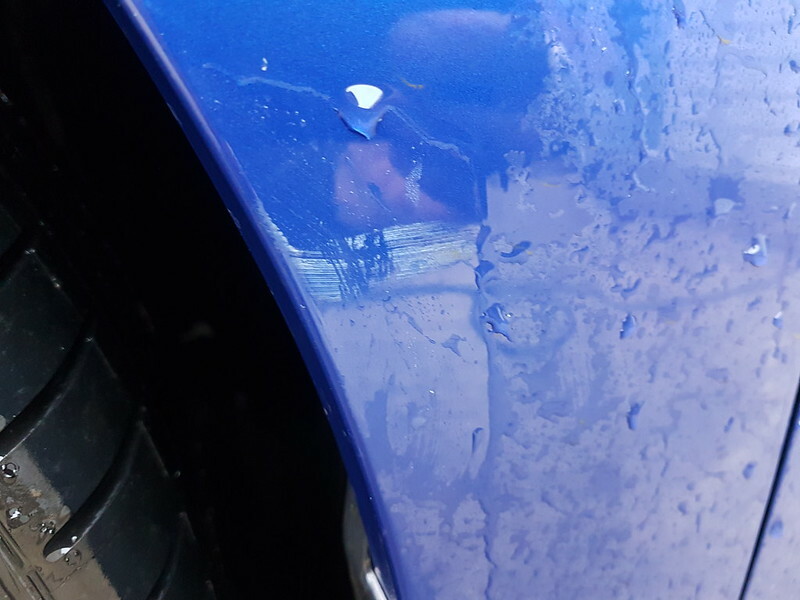 The car was then panel wiped and polished with Ceramic Pro Nano Polish to provide a nice base for the ceramic coatings to bond to. 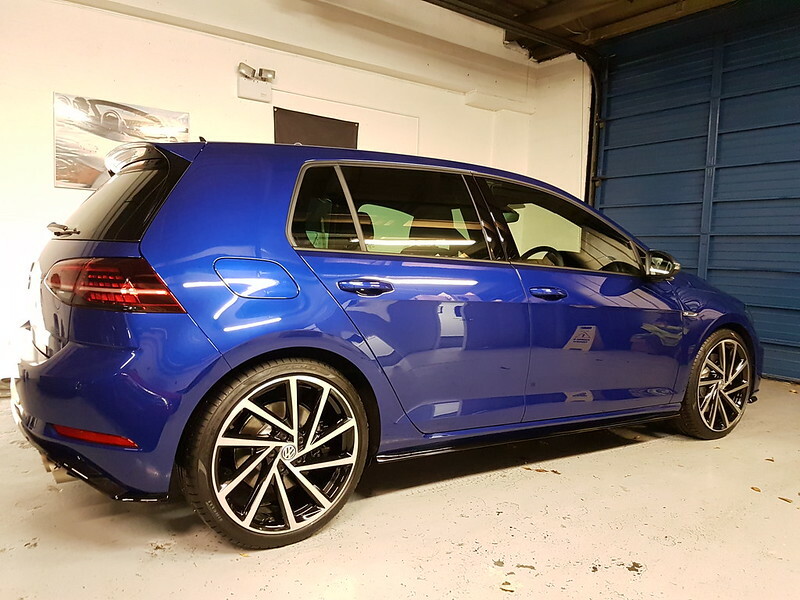 Good work and I do like the new golf facelift but I don't think i'd chose those alloys, something doesn't sit right to me. 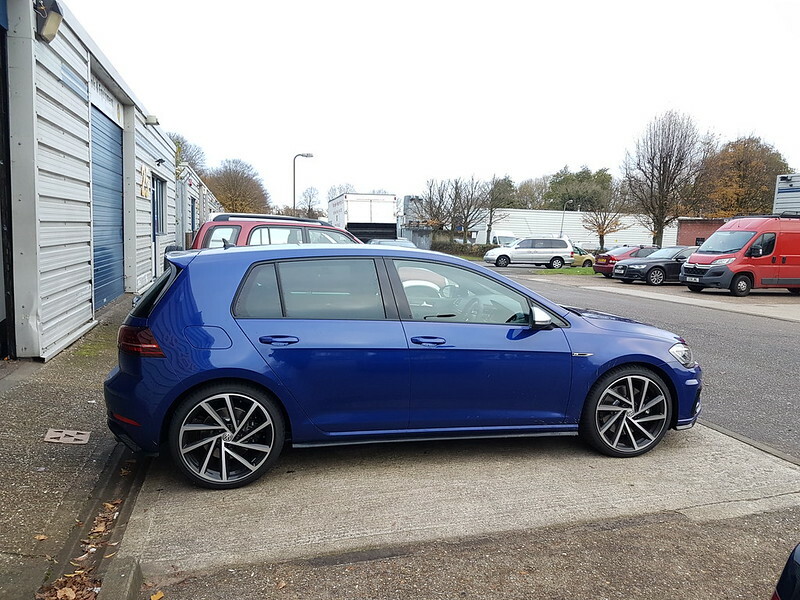 Having driven one of these a few times they are fantastic cars!!! 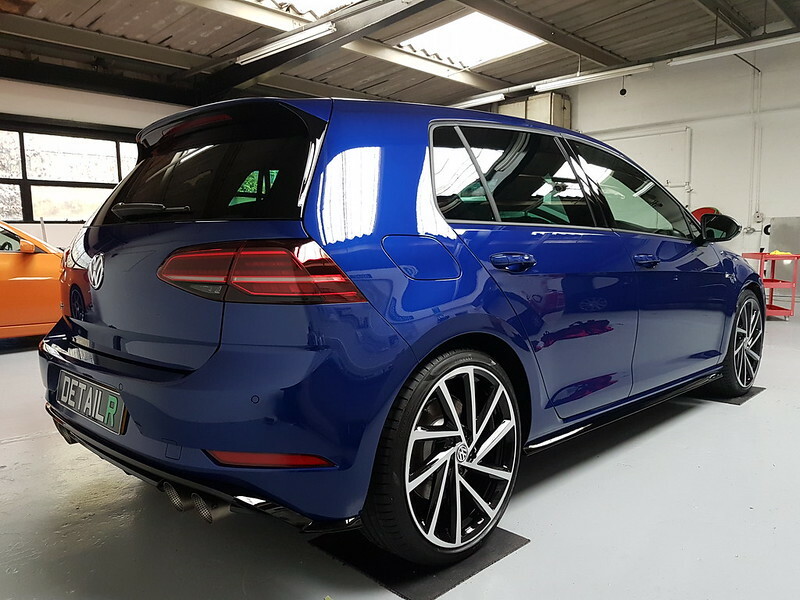 Would love the estate version!! 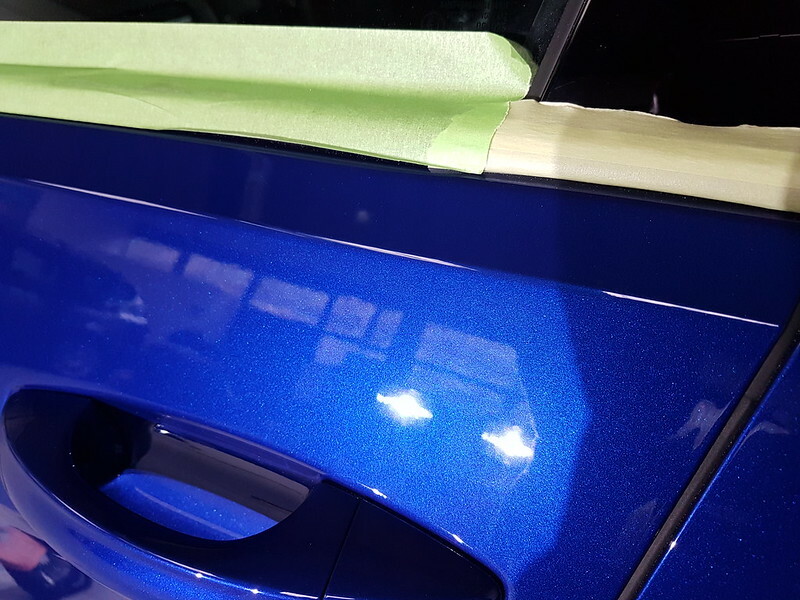 That's a hell of a paint chip. 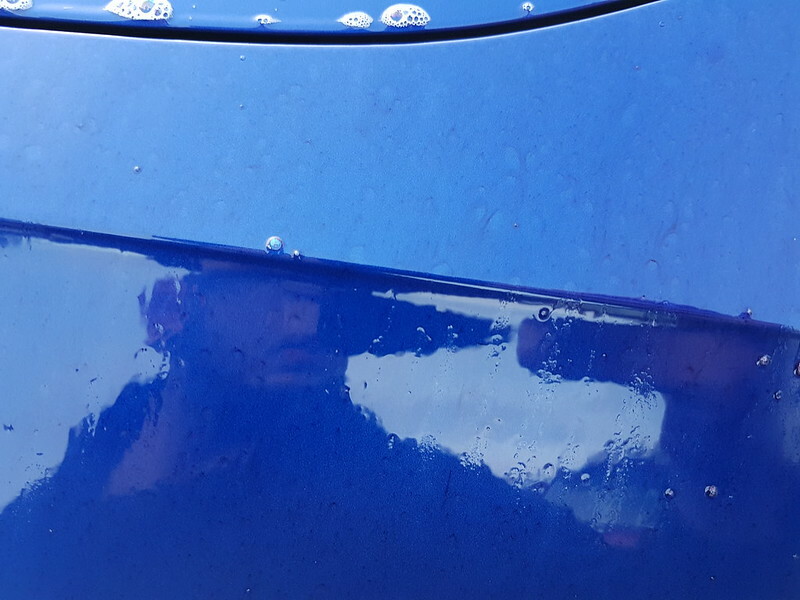 Think I'd have got that sorted first before having your work done. 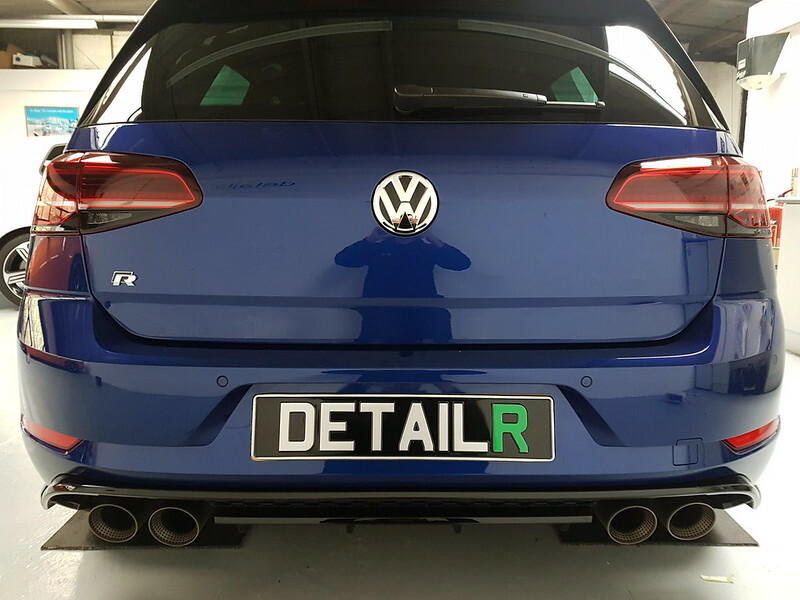 Love the colour, and once again great job.